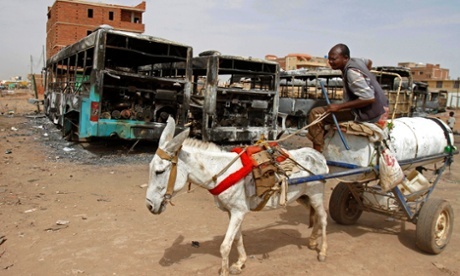 Khartoum: the most selfish city? Sudan’s almost exclusively Arab capital has buried its head in the sand for too long, as the multiethnic country around it burns. Khartoum is a low-built, sprawling city. The capital of Sudan, until recently the largest country in Africa, sits on either side of the River Nile under an almost perpetual haze of dust. As a child growing up in Khartoum, the city always struck me as sleepy and dark – power cuts were frequent, and the oppressive heat infused everything with a sticky torpor. Unlike Cairo to the north or Nairobi to the south, Khartoum did not have that frenetic energy or drama. The country’s international reputation for hard-line Islamism and ethnic warfare jarred with the city’s subdued mood. Even its military coups were lethargic and bloodless. In 1989, when the current government came to power, we sat around TV sets watching a young Omar al-Bashir read a statement declaring that he and his military cohort had overthrown the democratically elected government in a bid to save the country from the regime’s ineptitude. Apparently there were tanks, but the streets were empty. We all went to bed early with the vague knowledge that something dramatic had happened, but could see no sign of it. Khartoum has no real discernible “midtown” or central business district any more. People work from offices set up in rented ex-family homes, at desks in converted bedrooms, their bathrooms en suite and inappropriately ornate, clearly picked out by some banished housewife who never thought the family would fall on hard times and have to lease out their home. There are few public spaces for people to mingle, but the poor and the rich do mix in open-air street markets to buy their groceries. Khartoum has an almost benign spirit, but hides a sinister secret. It is a city-state, unrepresentative of the country’s citizens, in which most business, political and social interests are concentrated in the hands of a small ethnic elite that has ensconced itself behind the garrison walls of the city and goes about securing interests, lining its pockets and accruing political capital. In addition to this concentration of interests, Khartoum has simply never really diffused power and resources to the peripheries. Partly because both were scant, so the capital took precedence, but mostly because the elites in power were replicated from greater Khartoum elites and their extended networks, which did not stretch into the vast expanse of the rest of the country. The Sudanese inheritors of colonial power were a posh bunch – tertiary-educated or army-trained, dressed in suits and sunglasses, hoisting the Sudanese flag above the presidential palace on the bank of the Nile on the day of independence. Even Sudan’s traditional elite, drawn from its religious parties, were Oxbridge-educated and wealthy. The hope was that the combination of these privileged sons would, from elite Khartoum, launch a nation-building exercise. But since independence in 1956, Sudan has been locked into a pattern of military coups and weak civil government, none of which has ever managed to create enough political consensus to establish durable democracy. There is always a sense that governments are on the clock, on borrowed time, until a popular rising or a military coup unseats them. This is reflected in the attitude of incumbent politicians, whose eyes are not on their legacy or the peaceful transfer of power, but on how they can establish themselves as quickly as possible and reap the maximum reward from their tenure. Khartoum was a leech on Sudan’s flesh almost from birth. Throughout the 1990s and noughties, the city’s lights became brighter and denser, as Khartoum developed from a small centre of old money and traditional elite to a larger, more diffuse conurbation of influx from the provinces of Sudan. Before the secession of the south of the country after a long and bloody civil war, Khartoum seemed like a happily diverse city, but a closer look betrayed hierarchies and divisions. Southerners occupied menial jobs; those from Darfur and the country’s western provinces were slightly higher up; and the country’s main riverine tribes dominated government and academia. Khartoum, over the years, in its sleepy fug, presided over the longest civil war in African history between the north and south of the country, and the death and displacement of millions in Darfur and the Nuba mountains. 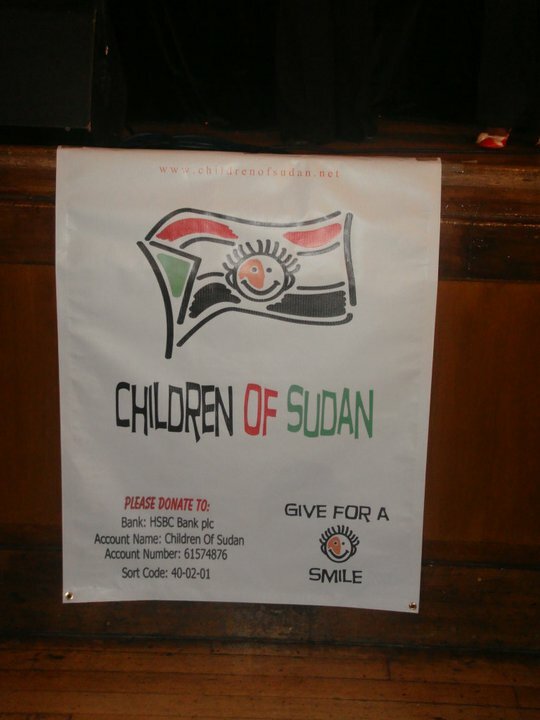 Culturally, Khartoum is monolithically Arab and Muslim, with a watered-down version of a Sudanese urban identity. Instead of Khartoum becoming a melting pot for all the different ethnicities and cultures of the country, the Star Wars-bar version of an African city where all came to drink and mingle, then make their fortunes, it took off their edges and conformed them into blandness. Sudan’s 114 indigenous languages – Nubians in the north, Beja in the east, Fur in the west, and Nuba and Dinka in the south, and hundreds of variations in between – never imprinted themselves on the culture of the capital city, which rather merged all these tribes and languages into a sterile, centralised Sudanese identity that subsumed all and represented none. The relationship between the global city and its hinterland is one that usually glorifies the former as a dynamo of change, dragging the rest of the country along with it economically, socially and culturally. But in poor and ethnically diverse countries such as Sudan, these influences need to go the other way, to seep through to the margins of the state in order to create a strong national identity and develop the country all at once. In such weak and ethnically fractured states, cities can be parasites, feeding on their states, needing them to stay alive to thrive. The irony is that, as with all parasites, they inevitably end up killing themselves by exhausting their hosts. It is partly a legacy of colonialism. Cities such as Khartoum were administrative hubs that the British developed in order to serve their practical needs but not necessarily those of the country. Challenging terrains, inaccessible provinces and lack of infrastructure, and more importantly, lack of immediate access to natural wealth, dissuaded colonisers from expanding beyond Port Sudan, Medani and Khartoum. A gargantuan country of nearly a million square miles, with unnatural borders lumping together tribes, ethnicities and languages with a weak and unconnected centre of power, Sudan never really stood a chance of transcending the fissures of its ethnic and tribal diversity. In a global city such as London or Paris, class, income levels, education, culture and occupation distinguish the centre and the peripheries. These are strong but not national fabric-rending differences. Indeed, in contrast to a city like Khartoum, the megalopolis western city is more diverse than its regions. Board a train outbound from London and the faces get whiter, and even when they don’t, racial diversity is more ghettoised. Cities like Khartoum also impose their own modern bourgeois morality on their hinterlands, a morality that is more oppressive than the country’s pre-existing “primitive” values. In this instance this urban morality, mixed with some notional Islam, has led to an environment in Khartoum in many cases far more straightjacketed than rural, and ostensibly more conservative areas. My grandmother, a tobacco-chewing, illiterate woman who married at 14, was far more comfortable and assertive around her male counterparts than her daughters and daughters-in-law who had, through their education and socialisation in Khartoum, assimilated quasi-Victorian attitudes towards morality and a woman’s correct place. They wore miniskirts and modelled themselves on the Supremes, but were deeply compliant in spirit and with gender roles that subscribed to the notion that women should be demure and comely. Venture only a few hours outside Khartoum in any direction, and although you will find fewer PhDs, you will see women walking home from working the fields, modestly dressed but not in Islamic clothing, carrying their implements with the effortless ease of the physically strong. This is not to romanticise the notion of the rural third-world periphery as a bucolic scene of simple, unwittingly liberal values and farmland harmony. Traditional misogyny and inveterate, complicated racisms certainly exist, but it is not hard to see that, if oiled with the right economic and political support, the machinery of coexistence and diversity can run more smoothly than it has thus far in the country. The image of the country bumpkin arriving wide-eyed, fresh off a train from the sticks in their Sunday best to build a new life in the big smoke, is an abiding one in the historical perception of the western city as a place of opportunity. And while Khartoum is certainly the hub of tertiary education and white-collar employment, it devours those who arrive, and sends nothing back to their place of origin. Instead of plucky kids from small-town America making it in the big city and returning to their hometown every now and then, Khartoum migrants eventually uproot their entire family to move with them. Only by understanding this can one truly come to grips with traumatic events such as the ongoing Darfur crisis, which is primarily an issue of a region’s chronic marginalisation and continued under-governance. In Darfur, competition for scant resources and grazing rights exploded in an environment missing government mediation and then worsened through the actions of a regime ensconced in what effectively became “Camp Khartoum”, the main barracks of the military and command centre. The government financed and supplied whichever group could quell the rebellion most efficiently, effectively outsourcing the war and abdicating its political responsibilities. Far from taking extra care with the restive hinterland, Khartoum barricaded itself against Sudan, sending emissaries who were basically firefighters into the worst humanitarian crisis the country had ever seen. This garrison mentality further exacerbates marginalisation as a result of the genuine cluelessness and isolation of its residents from the rest of the country. The images that came through from Darfur during the peak of the crisis and those currently filtering out of the Nuba mountains, where another rebellion is being brutally quashed, are treated with suspicion, denial and apathy by the majority of those in Khartoum. Not because of any inveterate racism or endorsement of the government’s military campaigns, but simply because the faces of the victims are unknown and dehumanised, so little have Khartoumians come in contact with them. The plight of a Palestinian child in Gaza will move more people in Khartoum than that of a child in Darfur, because the Palestinians’ cause is so well formed and articulated in the average Khartoumian’s mind. The political elite is thus further enabled by the replication of its worldview through media and popular culture, leaving all routes to change blocked from within. As Khartoumians, the people best positioned to put pressure on the government, are themselves oppressed into subscribing to the political elite’s world view, those outside the city have no intermediaries or agents in the halls of power. So they take up arms. 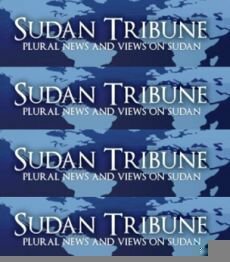 An example of this national image distortion became apparent throughout the 1990s and early noughties, when, realising that the alienation of the west and south of the country was leading to the possible breakup of a country, Khartoum’s media went into overdrive, incorporating, or rather crowbarring, references to western tribes and South Sudanese cultural traditions into public messaging. All of a sudden the long-standing, monoculturally Arab religious identity of Sudan was replaced with a bemusing celebration of ethnic diversity, which it seemed boiled down to the traditional dance routines of different tribes in the region. One can always tell how politically unstable the peripheries are by the number of hastily put-together tribal dances from the hinterland that are broadcast in the national media. The more the regions were up in flames, the more the dance drums beat on television. But it is always too little, too shallow, too late. 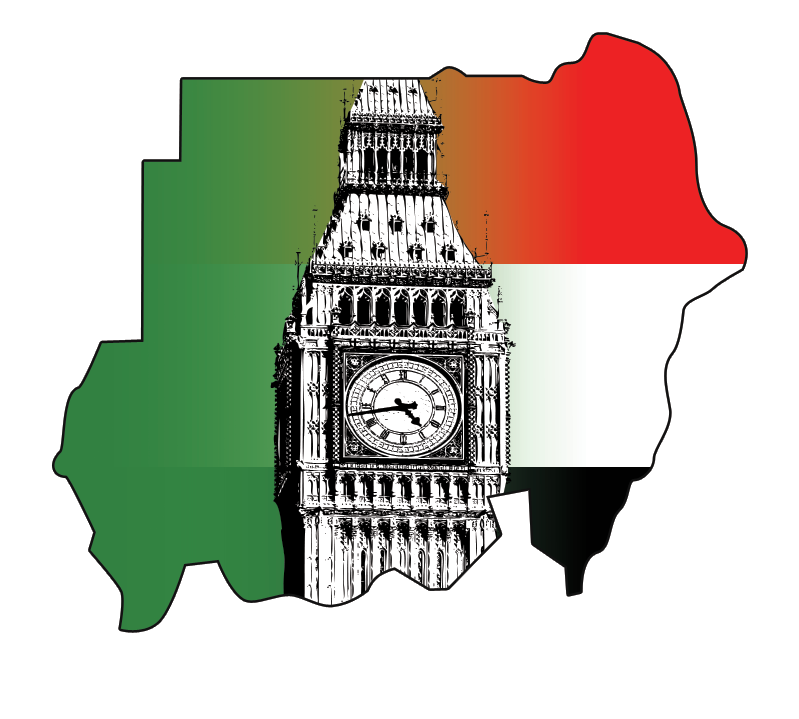 Today, with the south gone, seceded in 2011 in a referendum in which the marginalised Christian and animist region said goodbye to the selfish capital for good, Khartoum is even less diverse, as the city’s large southern minority decided to move almost en masse to South Sudan. Khartoum is even quieter, poorer, the loss of the South’s resources hurting economically and the loss of the southern territory smarting on a visceral, existential level. Sudan is referred to by the awful term “rump state”. 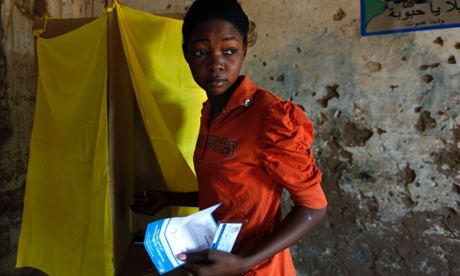 War still rages in the Nuba Mountains and tensions simmer in the east and west of the country. 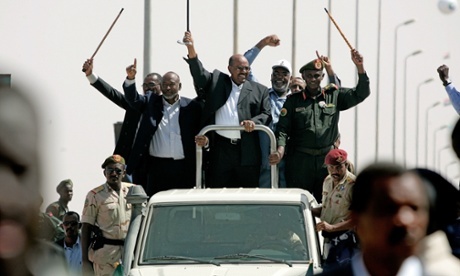 Rebel movements have twice approached and once entered Khartoum, an unthinkable prospect for its dwellers. There is a sense that the hordes are closing in, and that decades of grievances and marginalisation will finally close in and cannibalise a centre of power that has got away with divide, marginalise and rule for too long. Almost 60 years after independence, the model of the elitist city has proven to be a catastrophic failure. This is an edited version of an article that first appeared in Tank Magazine.